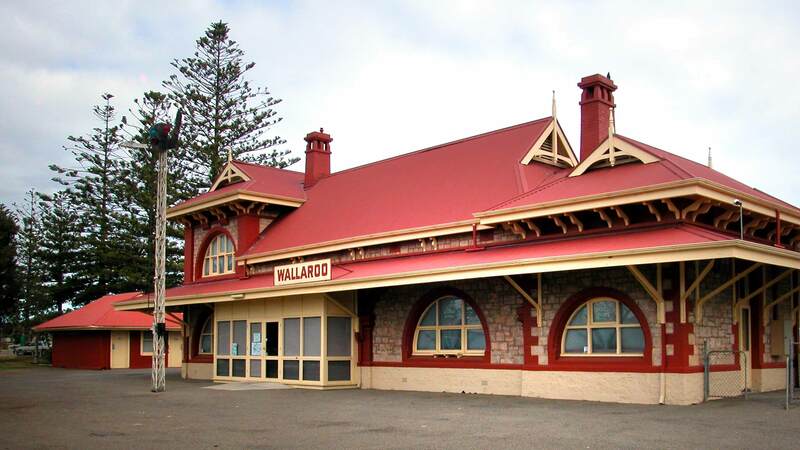 Wallaroo was first settled in 1851 when Robert Miller took up 104 square miles of land for sheep grazing, This was taken over in 1857 by Walter Watson Hughes, and one of his shepherds found copper in 1859, while tending sheep. Mines were established, and Wallaroo subsequently grew rapidly. Particularly in the early years, ships were the only practical means of transport, so almost everything in and out was transported by sea. By 1923, Wallaroo was the second biggest port in South Australia, only Adelaide being bigger. There were 3 jetties, of which one survives, and is currently in use. Smelters were built to handle the copper ore, and the population grew rapidly, as did the port. 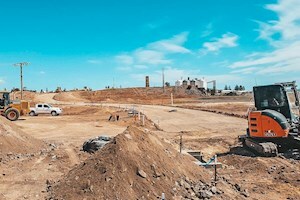 Main cargoes inwards were phosphate rock for a local fertiliser works, and coal for the smelters, as well as foodstuffs, timber and mining equipment. Cargo outwards consisted mainly of grain and copper. There was also some copper ore, mainly to Newcastle, where coal was plentiful, and therefore smelting was cheaper. 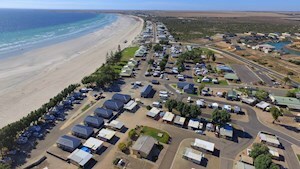 During Wallaroo's boom times as a port, there was a gradual change from sailing ships to steam driven vessels, and sometimes there were both types in the port together. All cargo had to be loaded and unloaded by hand, so there was a large population needed to handle the work. Bulk loading in the modern sense was unknown in those days, and most cargo was in sacks which were generally hand loaded into slings which transferred them to and from the ships. There were rail lines on the jetties, and horse-drawn rail wagons went onto the jetties to carry the sacks to and from the ships. Where cargo was actually bulk loaded, it generally involved manual shovelling! The smelters were established in an area of the foreshore, and many chimneys belched fumes into the air. 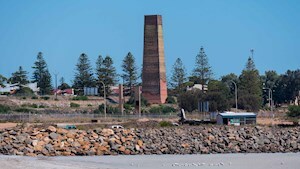 Low copper prices forced the closure of the smelters in 1923, never to re-open, and the town population gradually declined as a result.The opening of a smelter in nearby Port Pirie with rail access also helped to seal the fate of the Wallaroo smelters, and all that remains is one chimney, as a reminder of the industrial past. (This area has been remediated for development). The mines and smelters were largely staffed by Cornish (Miners) and Welsh (Smelters) immigrant workers.